Is your child too busy with his daily activities? Nowadays the kids are very busy in their work. It is because they are occupied with a lot of things that interest them or they just do it so that they don’t lag behind. Most of the parents have a simple complain that their kids are too busy in their school work and activities that they do not have sufficient time to enjoy themselves. The schedule is so packed that they can’t even afford to miss a single second. Though the reasons of being too busy is quite difficult to understand because you cannot say that whether the parents are after their kids to involve in so many activities or it is the personal choice of the kids only to be busy and stay ahead of all the people. Being too much busy is not good as kids need time to enjoy and feel free. If excessive burden is put on kids they will be puzzled and tired too. So it is necessary that parents take care of their children and ensure that the kids have enough time to play and study both. Notices changes if your child is too busy? If your child is busy in other activities it is sure that he or she will lag behind in studies and also feel tired. They will not like to study but spend most of the time in the company of their friends or in activities which are not related to studies. Depression is also a sign which you will come across as kids know that they are not doing well and their parents have a lot of expectations from there. If you observe such signs in your children then the hectic schedule is the main reason behind it and you will have to plan the schedule in such a way that your child has enough time to relax and study. How to cut down the busy schedule of your children? If you feel that your kids are surrounded by lots of work then the best thing which you do is to frame a time when all the members are together. Presently the burden of studies is too much upon the children and to excel in everything they do is another pressure, which some of the kids are not able to handle. In such cases they become miss managed which is not a good sign. So it is the duty of the parents that they sit with their children and plan out their timings and accordingly design a flexible schedule for them. While forming the schedule see that the activities which you include should be suitable to their interest as well as their age. If activities are beyond their level it can sometimes become frustrating or boring. Do not force them to be a part of any activity but let them do it pleasingly. This will make a positive impact and they will be happy in what they are doing. For planning the schedule you can follow the below tips. School is the first priority, so do not compromise with the studies. If they are already involved in several activities and feel a bit tired drop a few and let them devote full time to studies. It will be good that for every session you plan a single activity. This will not consume much time and at the end they will be happy learning something new and innovative. While deciding activity first talk to your children and understand their needs so that both of you are satisfied. If you want the schedule to be followed properly your child should be ready to do it. Fix a time which will be given to the activity. This will help them to stay managed and there will be no confusion. Even the kids know the exact time when to start and when to end. Before planning, have complete information about the school timings and then adjust the activities during the evenings or in the afternoon as the case may be. 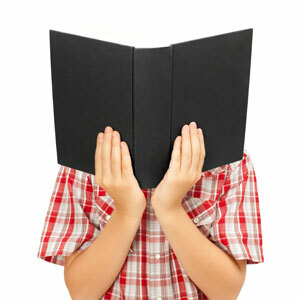 These tips will surely help your child to have a balance between studies and play.